What is the Future Role of Uniforms in Security? The security landscape and, indeed, the security business sector itself is undoubtedly changing and, not surprisingly, these changes are having an impact on the clothing used and the services offered by today's myriad of solution providers. To clarify the position as it stands, we need to briefly look back at the role of security personnel and how this has both evolved and developed to produce the class of security officer that we now witness, looking after buildings as well as the assets and people within them, on a daily basis. Traditionally, the security officer was tasked with protecting physical assets such as factories and industrial estates. Often, that officer was employed in-house in what might best be termed a 'gate-guarding' duty and, in fairness, the role harboured a somewhat limited range of tasks. In days of old, communication equipment was often no more sophisticated than a landline telephone. As far as uniforms were concerned, the look of the practising security officer wasn't driven by image, but rather by simple practicality and 'recognition' of the role being performed on site. Corporate branding was non-existent. A standard badge stating 'Security' and something of a military influence was pretty much all that was required to meet the need. This type of security role still exists in small numbers and, it must be said, isn't without merit in some specialist or traditional environments. However, if we move forward to today's fully-integrated security services provision so beloved by many practitioners, the contrast becomes immediately apparent. Security now encompasses an extensive range of both complex and specialist services. Leading security providers are closing the gaps between disparate security requirements and offering integrated, flexible and added value services for their client base. This is different to - and, arguably, offers much more than - standard facilities management. The services now on offer are targeted specifically at security and attuned to the safety of the customer and/or members of the general public, rather than simply the maintenance of the facility that's being safeguarded. These added value services have a direct effect on the skills and activities of the security officers present on a given customer's site and, as a consequence, the equipment and protective clothing that will be required by them. We're now witnessing the development of the modern security officer: a multi-skilled, multi-tasking multi-role occupied by a highly-trained and assiduous individual. Training for today's security personnel can take in excess of 12 months and represents a considerable investment by a front-line security services provider. Remember too, that the security officer is only one part of a complex and robust security solution which may also encompass active manned CCTV, mobile patrols, first response medical assistance, firefighting and major incident management. For each of these services, it follows that a different uniform will be required. Manning a reception service within a prestige office in a major city is no longer simply a 'Meet and Greet' and issue a pass-style security function. Security staff may now be tasked with building evacuation, co-ordination with members of the Emergency Services or even the management of what's an ongoing terrorist threat (the level of that threat posed to the UK mainland is currently set at 'Severe' by the Joint Terrorism Analysis Centre). Put simply, the security officer of today must change from a stance of 'hiding in plain sight' to be recognised as a person of influence and a conduit of information in an emergency scenario by both members of the public and, indeed, the Emergency Services. Specialist uniforms are issued that may only be used for a few moments in an incident, but these will be every bit as important as the daily wardrobe. Mobile officers supported by CCTV protecting public places may require PPE to handle needles or, in some of the more extreme cases, could well be issued with covert or overt stab protection. Large Government facilities and universities are typical examples of locations where the modern-day security officer is now being deployed. Integrating mobile patrols, static guards, physical security, CCTV and first response offers benefits for the purchasing client in terms of both enhanced security and reduced cost. Security companies are now training their officers in fire protection techniques (with a view to helping reduce the potential outbreak of fire) and in fire-fighting small fires to allow safe evacuation, at the same time deploying small fire engines and fire-fighting equipment as part of a complete protection service. Response times to an alarm can now be as little as two minutes. In a true one-stop operation, sniffer dogs may be deployed for firearms or drugs detection. The use of these dogs is increasing in public areas and venues. The dogs need to be identified and they too have a uniform, including dog boots and dog goggles. Even the event security sector - which, in general, has been characterised by the employment of temporary personnel and the issuing of low value uniforms - is now changing rapidly. Classic suits are often worn in customer-facing positions, with the switch made to corporate-branded and highly visible clothing for crowd management duties. Different vibrant colours can indicate different roles and, in what's a new development, LED lights may be built into garments as a method for informing members of the public of a developing scenario. The multi-role security officer can offer the client excellent value through improved public protection combined with a reduction in insurance premiums. All the tasks involved require a complex issue of different pieces of clothing across different wardrobes. Managed uniform providers simply must be prepared to meet the requirements of the modern multi-role security officer of today. Large ranges of specialist equipment, garments and footwear are going to be required. 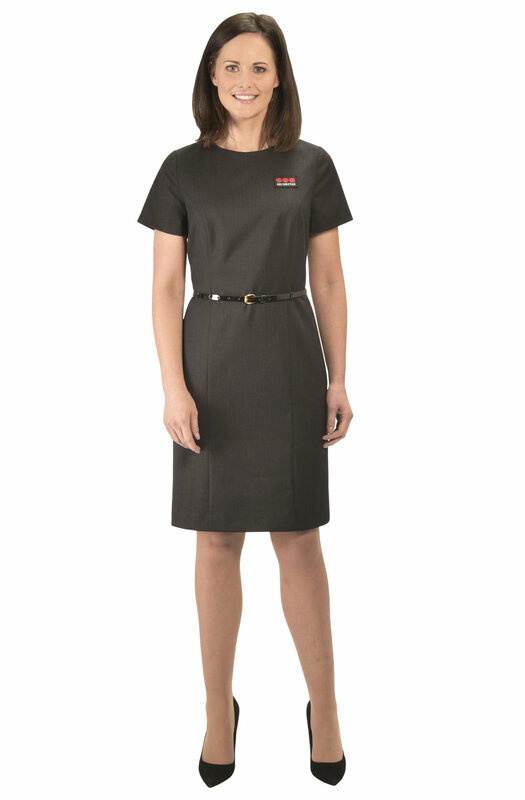 Gone are the days when the uniform supplier was simply a tailor or the maker of clothing. The security uniform is now complex and diverse and requires the co-ordination of a range of specialist providers in order to complete the requirement. In addition, this must be coupled with systems that can control the supply chain as well as simplify the ordering and monitoring of the life of uniforms and PPE. Will the modem day security officer described here become the standard for security? Given recent events, it's abundantly clear that officers with diverse skill sets are a huge advantage when it comes to dealing with a severe threat. There will always be room in the industry for officers of all levels, but the specialist security officer is a welcome growth area and one which suppliers to the industry - and notably uniform providers - must either invest in or be left behind. Ordering systems should be developed that can handle the ordering and tracking of multiple garment requests. New and adaptable IT systems capable of being reconfigured to customers' requirements are essential to the process. Software capable of predicting current and future uniform requirements will be created to manage the issue and re-issue of uniforms and PPE. These systems should project both the future requirements by quantity and the overall cost, in turn allowing the security provider to budget ahead. Managed uniform providers should be prepared to work with security companies to closely integrate payroll systems and enable live reporting. This will reduce the need for re-keying staff information. For their part, managed IT services can be supported on mobile devices and made available to every concern, from the smallest right through to the largest security company. The good news for all of us is that it looks like the uniformed multi-skilled security officer is very much here to stay. The world will be a far safer place because of them.